Discover the intimate world of chamber music with AYO Chamber Players. This program offers intensive ensemble training in a creative environment, under the guidance of leading performers and educators. Engaging with these masters of chamber music will enrich your musicianship and lay the foundations for a successful career in small ensemble playing. The phenomenal Dover Quartet catapulted to international stardom following a stunning sweep of the 2013 Banff Competition. Recently named the Cleveland Quartet Award winner, and awarded the coveted Avery Fisher Career Grant, the Dover has become one of the most in-demand ensembles in the world. Read more. In demand as both a performer and a composer, Edgar Meyer has formed a role in the music world unlike any other. His superb technique and musicianship in combination with his gift for composition have brought him to the fore, where he is appreciated by a vast, varied audience. At the forefront of a new generation of wind soloists, Adam Walker was appointed principal flute of the London Symphony Orchestra at the age of 21. 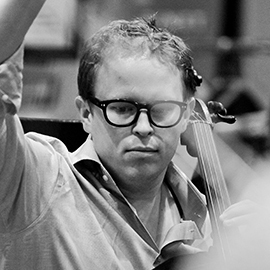 Adam has a broad range of interests, from French Baroque through to newly commissioned works. Adam is also visiting professor at the Royal College of Music. Read more. Australian pianist Aura Go enjoys an active and multifaceted musical life, performing as a soloist, chamber musician, Lieder pianist and conductor. Aura is now a doctoral candidate at the Sibelius Academy in Helsinki; her research addressing the aspect of creativity in classical music performance. whom he frequently appears as soloist. Valve also curates the ACO’s chamber music series in Sydney. Tipi is a founding member of Jousia Ensemble and Jousia Quartet. Read more. 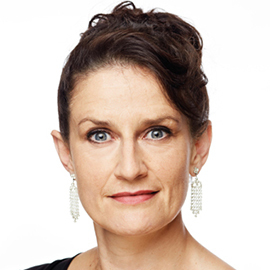 Kirsten has been a member of the Australian Chamber Orchestra as Associate Leader, and guest concertmaster of the Australian Opera and Ballet Orchestra and the Queensland Symphony Orchestra. In 2000 she was appointed Associate Concertmaster of the Sydney Symphony Orchestra. Read more. AYO Chamber Players 2019 will be presented in association with the exciting Musica Viva Festival, which brings together an array of the finest chamber musicians from across the globe. You’ll be at the very heart of the action, performing in a series of public performances, and participating in tutorials led by festival artists. This program opens the door to a vast repertoire of chamber music, and provides you with the skills and knowledge to master these works with confidence.